in the new study, and Flabegraviera mundata (right). A few days ago, a team of Japanese scientists from the Hokkaido University announced the discovery a new species of polychaete, a type of marine annelid worm. 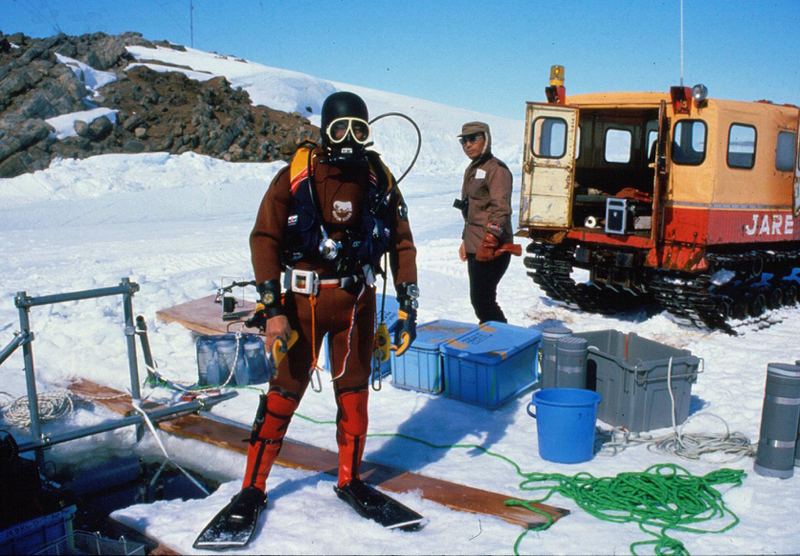 The discovery took place 9-meters deep underwater near Japan's Syowa Station in Antarctica and provides a good opportunity to study how animals adapt to extreme environments. International efforts are currently underway in Antarctica to build long-term monitoring systems for land and coastal organisms from an ecological conservation standpoint. This is why the accumulation of continent-wide fauna information is essential, but Japan is lagging behind in gathering and analyzing such data around Syowa Station, particularly in regard to coastal marine life. To address this issue, in 2015 a team of researchers, including Keiichi Kakui, a lecturer at Hokkaido University, and Megumu Tsujimoto, a postdoctoral researcher at Japan's National Institute of Polar Research, decided to do some digging in old marine specimens stored at the institute, as well as newly collected specimens. As a part of this process, they conducted microscopic analyses to examine two annelid worms that scuba divers collected 8-9 meters deep on January 16th, 1981, at Nishinoura near Syowa Station. 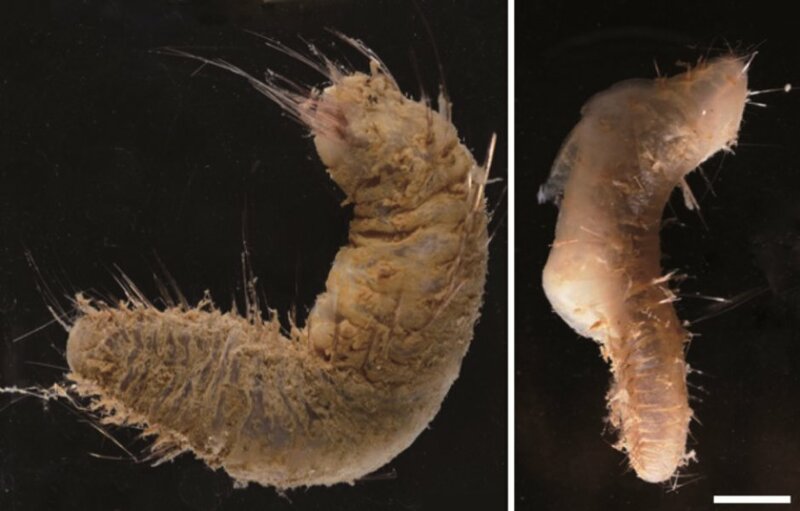 The new species was found 9 meters deep and turned out to be an un-described polychaete worm, a variety with a thick, gel-like coat and conspicuous, long notochaeta. The team named the worm as Flabegraviera fujiae, naming it after the icebreaker ship "Fuji" used in the expedition in 1981. The specimen collected 8 meters deep was recognized as Flabegraviera mundata, and was deemed to have been collected at the shallowest depth ever recorded for the Flabegraviera genus. Now that it has become clear that polychaetes inhabit depths reachable by scuba divers, the researchers hope to conduct experiments using live specimens to get a better insight of the new species and the rest of the local marine life as well. "A new species of polychaete, Flabegraviera fujiae sp. nov., is described and the first report of F. mundata (Gravier, 1906) from the shallow water around Syowa Station, Antarctica, is presented. Flabegraviera fujiae sp. nov. resembles F. profunda Salazar-Vallejo, 2012 but is discriminated from the latter by having eyes and an exposed cephalic cage. The specimen of F. mundata was collected from a depth of 8 m, providing the shallowest record of this species to date."